A few years back, we visited my daughter and her fiancé in Colorado Springs. 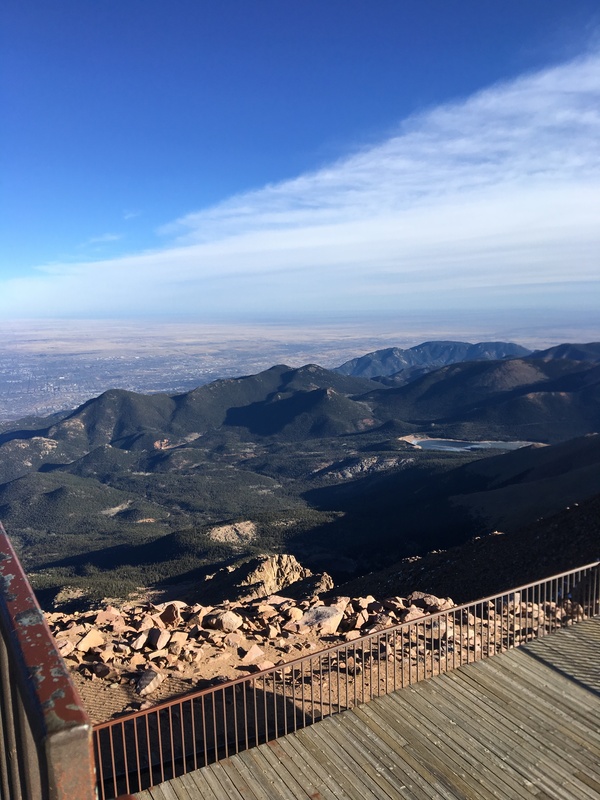 It had been a few years since we had seen Pike’s Peak, and we decided to experience it up close and venture to the summit. And why not take the train? We drove the short distance to the railway, and purchased our tickets. Before long, we were shuffled into the car, and took our spots on the wooden seats. I don’t recall much about the ride to the top except trees. Lots and lots of trees – up close and personal. There are about 9 miles of track on this railway, and all but the last three miles are engulfed in forest. “You can’t see the forest for the trees” came to mind several times. That said the final stretch of scenery was pretty spectacular. 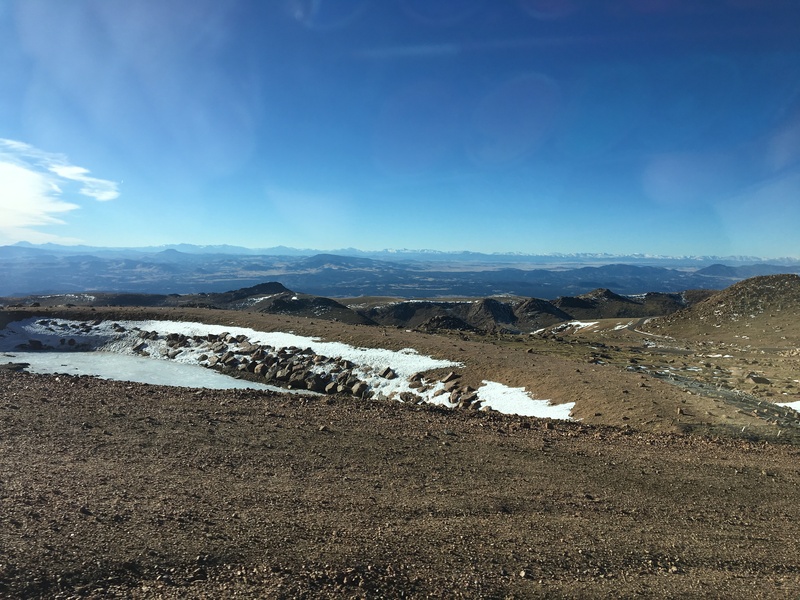 When we arrived, anxious to see the summit, we spilled out of the rail car, and were instantly blasted by a sub-zero wind that took our breath away. Buttoning our coats, and pulling on our hoods, we trudged to the summit’s vantage point, the lookout, to see the amazing view below. One quick glance and I was done. The wind-chill factor of 17 degrees below zero was almost paralyzing. I didn’t even take time to snap a photo; I just ran for the door. Before long, I was snuggled in a chair, and drinking a delicious hot chocolate. Ahhh. 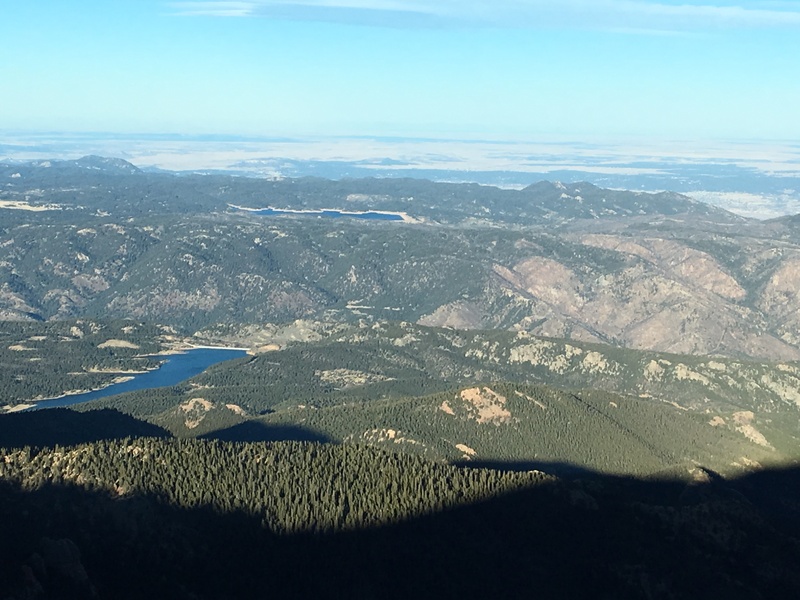 The delight of that warm beverage was short-lived as I was soon dizzy and nauseated from the altitude. We only stayed at the top for about 30 minutes that day, browsing the gift shop, looking at trinkets we cared nothing about just to elongate the time. After all, we had come all this way to get to the summit, right? By my husband’s insistence, we did manage to catch a photo of us by the sign on the summit to prove that we had actually made it to the top, but then we ran for the shelter of our downward transportation. As anxious as we had been to get to our destination, we were even more impatient to get going and move on. The summit just wasn’t what we had expected. Isn’t that like life? We want the next thing — whatever it is. Yet when we get there, it doesn’t quite satisfy as we thought it would and before long, we want the next thing. We can’t wait to grow up. We count the days to be done with college. Grad school. This job is okay, but that job would be perfect. Many of us want to get married. Where is our soul mate? Will we ever get that first house? Then we want kids. Nothing like a few sleepless nights, whether tending to a newborn or worrying about a teenager, for us to begin dreaming about our empty nest. And retirement. We long for the next thing. 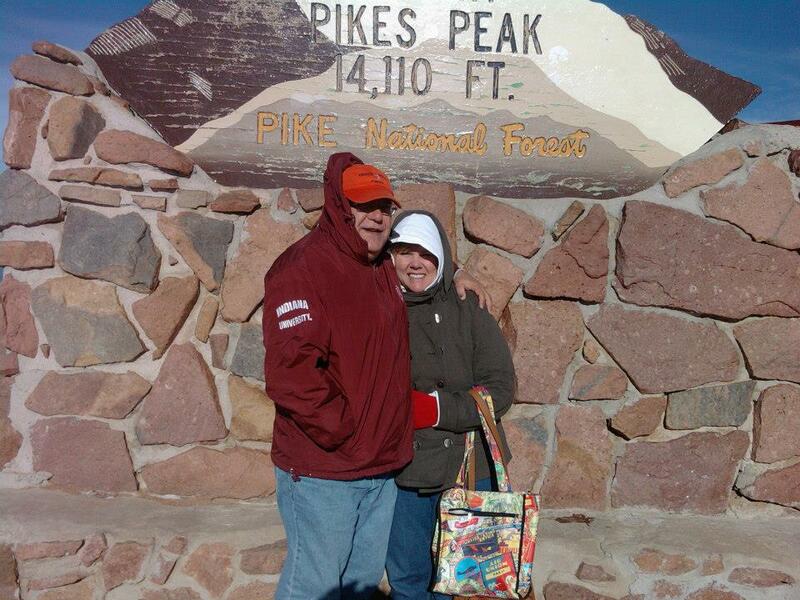 We spent this past Thanksgiving in Colorado Springs, again visiting that same daughter and, now, our son-in-law. Two days into our visit, and my husband was talking about that peak again (funny how time makes one forget.) 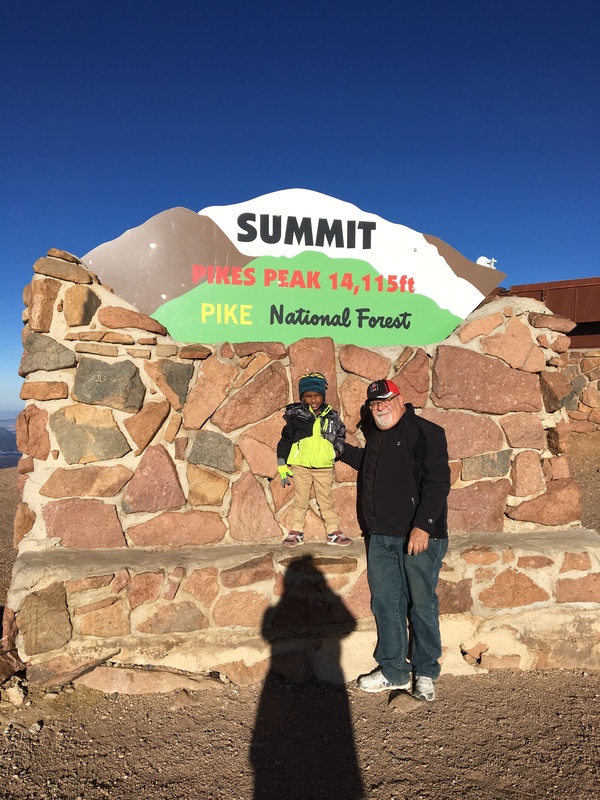 We bundled our 4 year-old grandson into winter garb, and set our sights on the mountain, choosing this time to take our car for the trek. As many of you know, most 4 year olds do not lack for words…or questions. 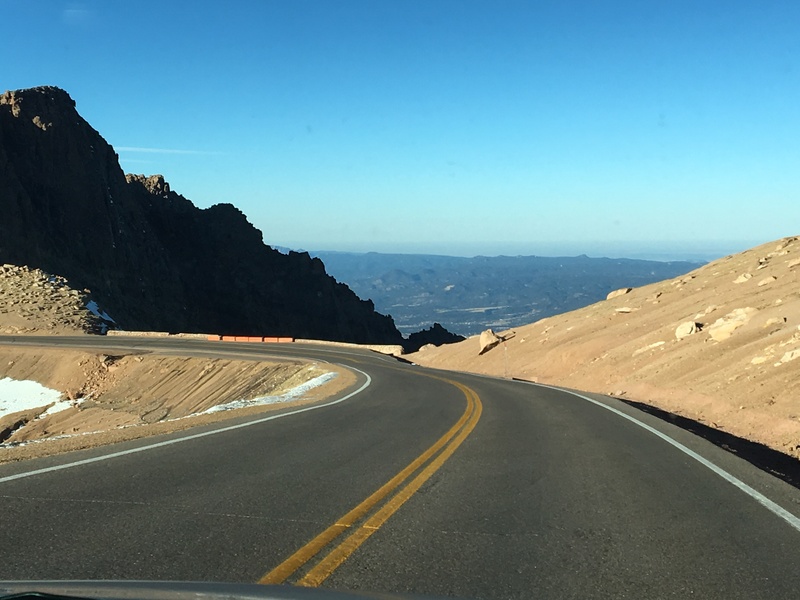 At every hairpin turn, David’s curiosity about what he was seeing out his window was punctuated with “what’s that? where are we? why? 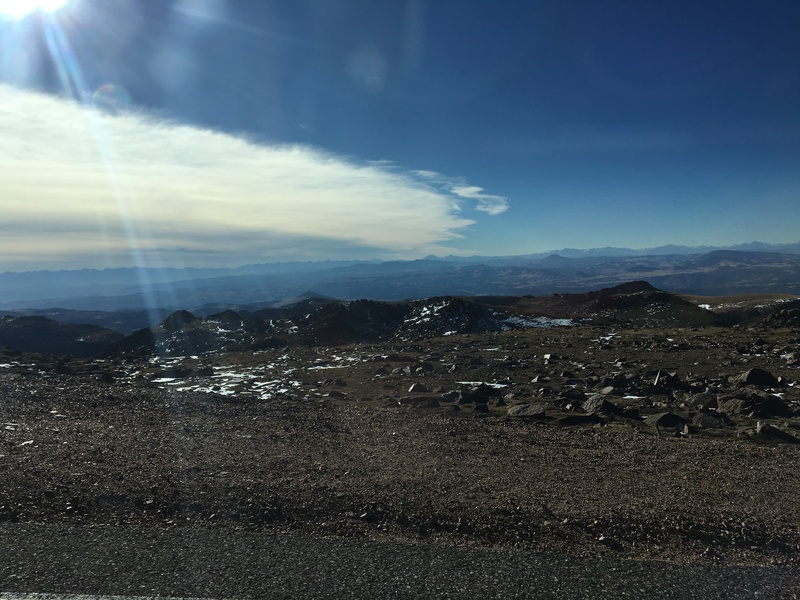 and how?” We slowed down a couple of times to take in the beauty — breath-taking views surrounded us. No trees blocking the forest on this way up the mountain. I snapped photo after photo, not wanting to forget any part of this journey. 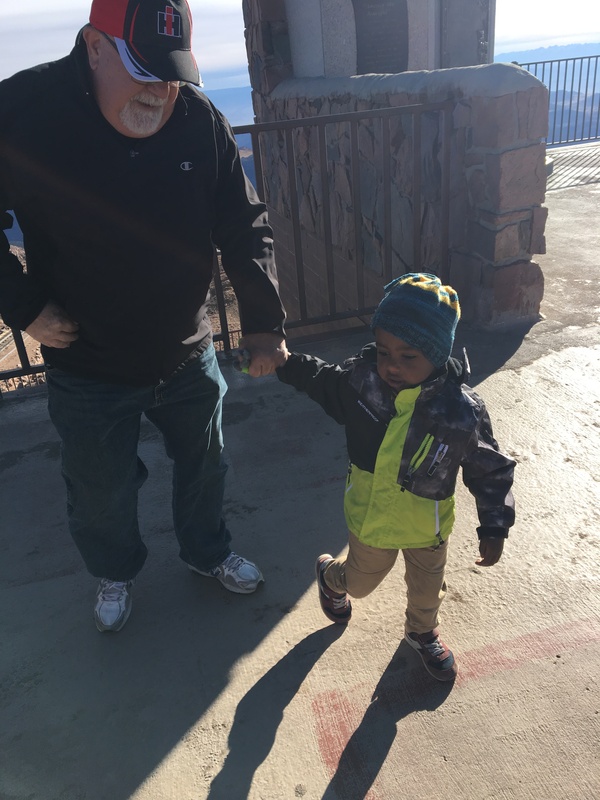 At one point on the mountain that day, on a critical hairpin turn, our grandson, full of “different car inquisitiveness,” popped opened his car door. 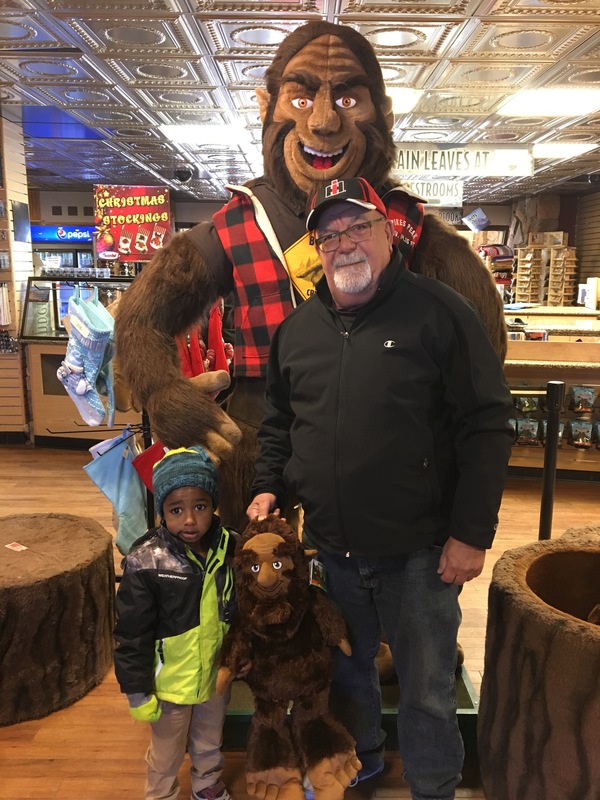 Both his Papa and Gramma shouted simultaneously, “David, what are you doing?” My husband pulled the car over, got out, and secured that door. Next we calmly and patiently talked to him about the safety of NOT playing with the door handle. A lesson learned. As you can see from the photos, we made it to the summit again. And you know what? It was absolutely bone-chilling cold. Freezing. And windy. And I got nauseated again. But — it didn’t matter — because we SO enjoyed the drive up that mountain! We weren’t focused totally on the peak. The beauty on the way, the lesson learned, the ups and downs were worth living. The journey is worth taking in. It gives us insight and beauty. It answers our questions (well most of them.) And it teaches us lessons. The path is full of ups and downs, good lessons and bad. All there for a reason. Setting goals is profitable, and we should always have targets ahead of us, but what about the space between the objectives? That space is the journey — the life we live — between this goal and the next. Can we slow down long enough to see the forest? When I get to the summit, my next goal, I want to revel in my destination and enjoy the victory, but I don’t want to disregard the mountain. I want to look back and take in the whole expedition. 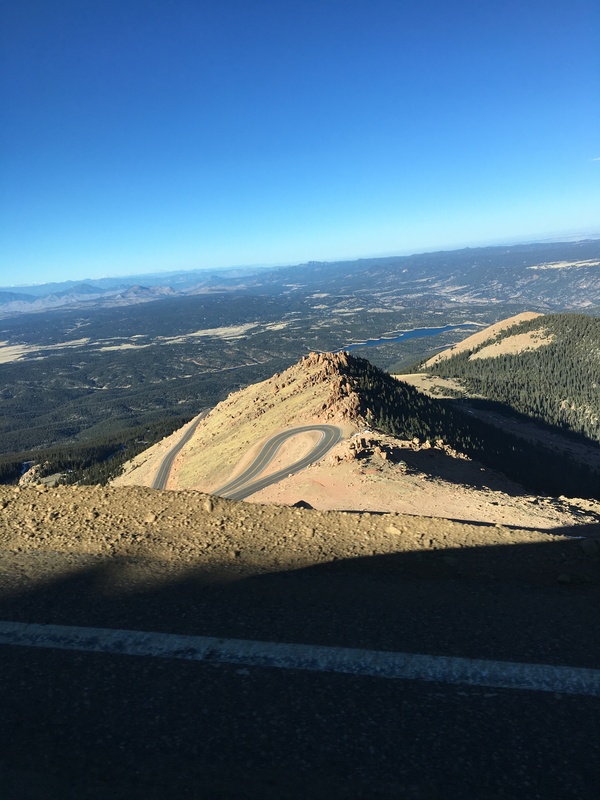 The twists, the turns, the hard lessons as well as the good — my life — that space between the summits. 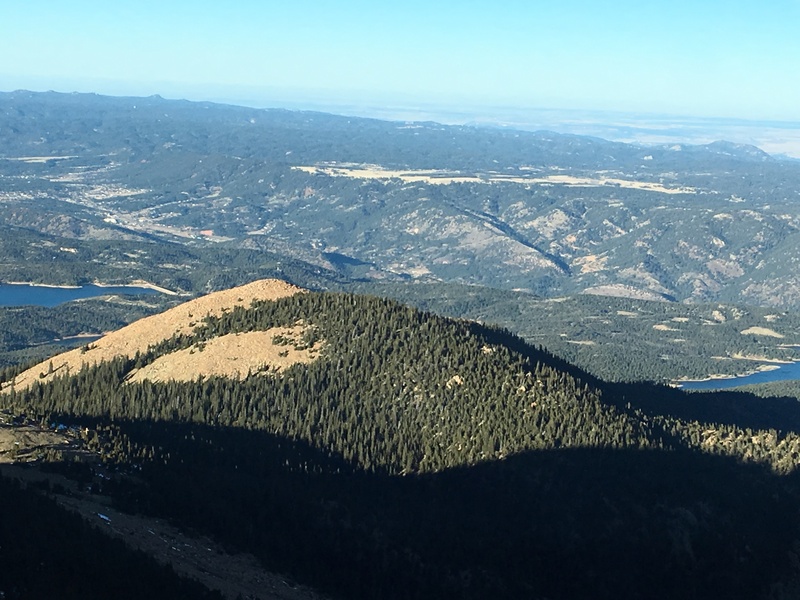 If you are observant, you may have noticed that the signage at Pikes Peak changed between our two trips to the summit. How high is that peak? 14,110 or 14,115? 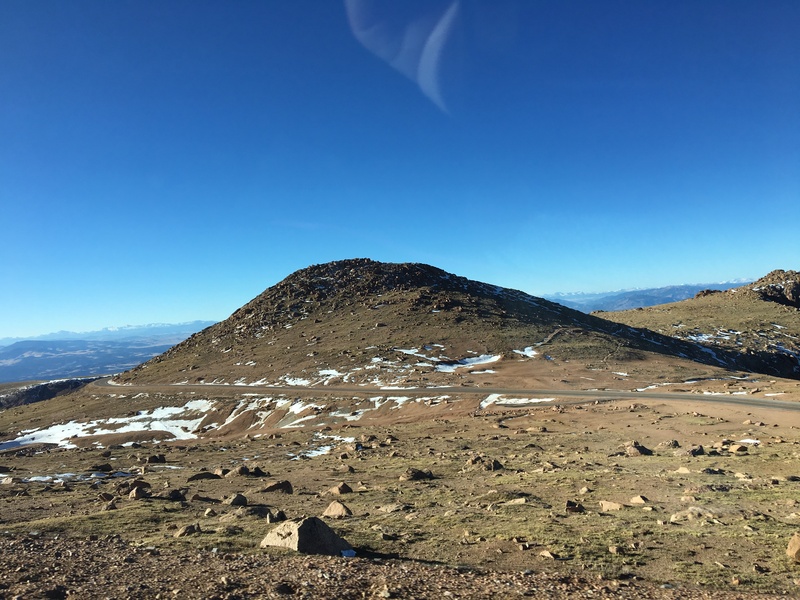 Check out some history about the peak here: Fun Facts About Pikes Peak.